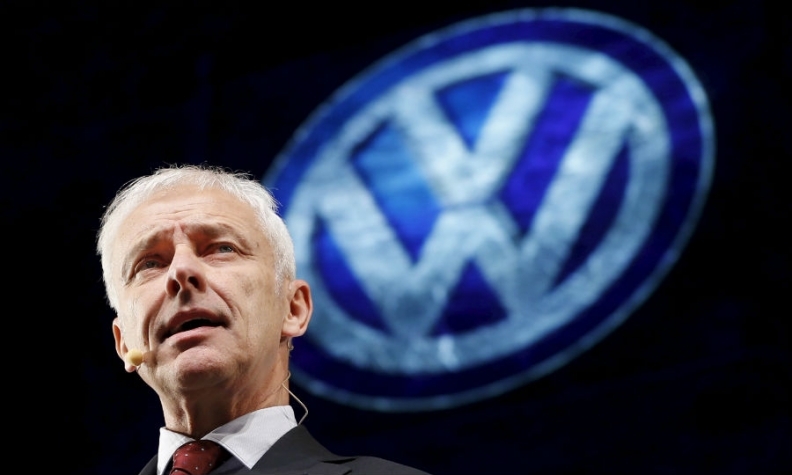 Mueller: "We will certainly be a loser in the U.S."
BERLIN (Reuters) -- Volkswagen Group CEO Matthias Mueller expects the carmaker to win back the trust of its customers following the emissions test-rigging scandal after its core autos division swung back to growth in January. "We are quite confident that by regaining the trust of our customers, of the public and of our remaining shareholders, we will have a good year 2016," Mueller told German news agency DPA on Tuesday when asked whether the scandal was having an impact on sales and temporary jobs. VW-brand's global sales increased by 2.8 percent to 521,400 last month, driven by a 15 percent jump in China, its biggest market, although deliveries were were hit in Europe and in the U.S. where the diesel scandal has hit hardest. The brand's sales fell 3.1 percent in Europe, with a 5.2 percent decline in Germany. U.S. volume was down 15 percent. Referring to the U.S., where the carmaker has yet to come up with a technical fix for almost 600,000 cars five months after its cheating was uncovered, Mueller said: "We will certainly be a loser in the U.S."
Deliveries at the 12-brand group, including luxury division Audi and sports-car maker Porsche, climbed 3.7 percent to 847,800 in January after the company posted its first decline last year since 2002.